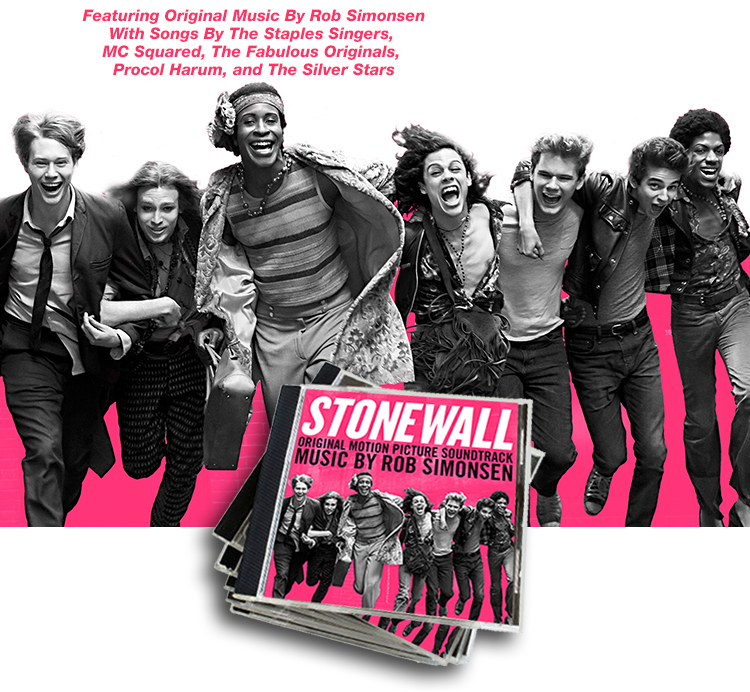 Lakeshore Records will release the Stonewall – Original Motion Picture Soundtrack digitally on November 27, 2015. The album features original music by Rob Simonsen (THE AGE OF ADALINE, FOXCATCHER). STONEWALL is a drama about a fictional young man caught up during the 1969 Stonewall riots. Danny Winters (Jeremy Irvine) is forced to leave behind friends and loved ones when he is kicked out of his parent’s home and flees to New York. Alone in Greenwich Village, homeless and destitute, he befriends Ray (Jonny Beauchamp) and a group of street kids who soon introduce him to the local watering hole The Stonewall Inn; however, this shady, mafia-run club is far from a safe-haven. As Danny and his friends experience discrimination, endure atrocities and are repeatedly harassed by the police, we see a rage begin to build. This emotion runs through the entire community of young gays, lesbians, drag queens and trans people who populate the Stonewall Inn and erupts in a storm of anger. With the toss of a single brick, a riot ensues and a crusade for equality is born. “I think the opening scene, which establishes the main theme to Danny set up the heart of the character well, giving us that material to draw from throughout the film,” Simonsen described.